We have a wide range of upholstered sofas, chairs, tables, glassware and mirrors from many of the leading furniture manufacturers. With this impressive selection of contemporary and traditional furniture at our fingertips, our in-house, friendly interior designers can help you choose the right furnishing for your home and create the style that you are looking for. 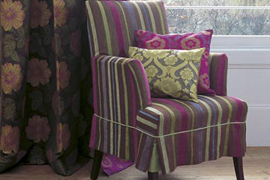 Comprehensive range fabrics including prints, upholstery, sheers, silks, leathers, furniture stockists. 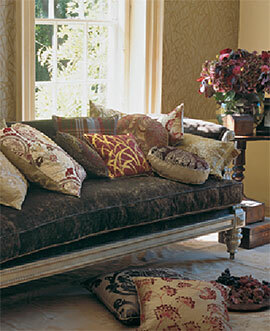 Speciality furniture and decorative items from India and Africa. Contemporary design inspired by tradition and craft to create timeless furniture. Kingcome has an excellent reputation for manufacturing the highest quality upholstered furniture in a wide range of designs from traditional to contemporary. PF. Collections was established in 1988 with the aim of manufacturing and exporting high quality upholstery to some of the most prestigious stores in Europe.